Due to popular demand, this Infomail is dedicated to DJing with music videos. Who better to explain the virtues of video DJing than the experts who produce and perform music videos; VPS (Video Production Systems). Upcoming DJ Shop Events This Week! 7th December - Inspiration Sound & Light, Peterborough. Open Evening 5 - 9pm. Phone Darren on 01733 577666 for more information. 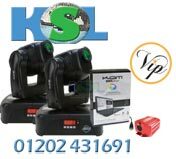 AMPdj Members can make a massive saving with this great offer from KSL. AMPdj members will receive a further 10% off all digital download orders over £20 until 31st December. This is in additon to the current offer prices. The elf & safety officer"